25 October 2016. Google is acquiring Eyefluence Inc., developer of a technology that allows individuals to interact with computers, phones, and other devices using only their eyes. The Milpitas, California company announced the acquisition yesterday, but financial aspects of the deal were not disclosed. 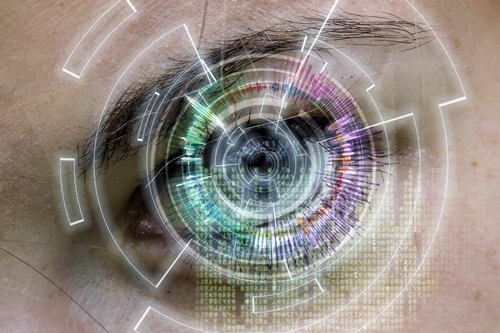 Eyefluence is a 3 year-old enterprise designing what it calls eye-interaction technology that goes beyond traditional eye-movement tracking to take advantage of the full biology of human vision, including neural connections between the eye and the brain. The company acquired the rights to the original federally-funded technology, covering some 50 patents dating back to the 1990s, from another R&D enterprise. Eyefluence says its technology creates a more intuitive user experience that can be integrated into any head-mounted display system, including wearables, such as smart glasses. That technology, says the company, combines advances in neuroscience and electronics that capture not only movements of the eyes, but can also infer the intent of the individual wearing the system. Its eye-tracking algorithms are designed to work with simulation routines to create an interface based on eye movements directing simple commands in the viewing field, a process the company says takes about 2 minutes to learn. The eye-driven user interface, says Eyefluence, can be applied with augmented reality in industrial and commercial enterprises, by gazing at text, images, diagrams, or discrete data, such as part numbers. With augmented reality, the technology can also pick items from menus, and deliver confidential information to the user with instant authorization based on iris matching. And all of the interactions, says the company, can be done without clicking, swiping, or even winking. With virtual reality, Eyefluence says its technology can be combined with touch-directed input to create a more engrossing and responsive environment. Eyefluence was founded in 2013 by serial entrepreneurs Jim Marggraff and David Stiehr, now the company’s CEO and business operation vice president, respectively. According to Crunchbase, the company received an initial $7.6 million in venture funding from Intel Corporation in November 2014, but remained largely out of sight until about one year ago when it announced its corporate launch and second financing of $14 million. That round included Intel, as well as Jazz Venture Partners, NHN Investment, Motorola Solutions Venture Capital, and Dolby Family Ventures. Google pioneered early head-mounted displays with its Google Glass project, which the company suspended in 2015. But Google is also active in virtual reality, and plans to announce its Daydream platform and headset in November 2016. Tech Crunch says the Eyefluence acquisition could give Google an advantage on next-generation virtual reality systems. Jim Marggraff tells more about Eyefluence and demonstrates the technology in the following video.